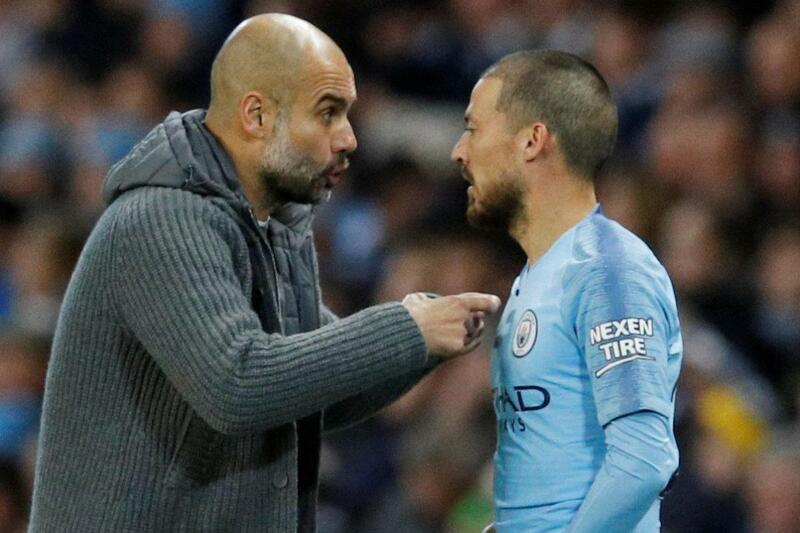 David Silva is on the road to recovery, but will sit out Manchester City’s clash with Crystal Palace tomorrow. Addressing the media at today’s press conference, Pep Guardiola explained that the midfielder’s condition had improved but it would be too much of a rush to expect him to play tomorrow. The Spanish playmaker limped off during City’s loss to Chelsea earlier this month after picking up a knock. It was a double blow to the defending champions, who suffered their first loss of the season against Maurizio Sarri’s men. Silva returned to training with the squad, but is being rested for the clash at the Etihad, in order to be fit for City’s other festive fixtures. The 32-year-old has been instrumental for City this season, scoring fives times, providing two assists and creating an incredible 36 chances thus far in the Premier League. The likes of Raheem Sterling, Sergio Aguero and Kevin De Bruyne regularly hoover up the praise, it’s Silva quietly keeping the champions ticking over. City host Leicester on Boxing day and Southampton on December 30, but their New Year fixture against Jurgen Klopp’s men will be crucial. City host Liverpool on January 3 and will hope that David Silva is back fighting fit for the clash, as it could determine the table standings. Guardiola believes this year’s festive schedule is less brutal than other years, as he is able to give his players more time at home with their families. He said: “We’re going to adapt to the calendar. On previous days we played 26th and 28th, this time we have three or four days between games. “We’re probably going to train on the afternoon of the 25th, before travelling to Leciester. Silva is not the only player who won’t be available for tomorrow’s 3pm kick off as Vincent Kompany and Benjamin Mendy are still out.